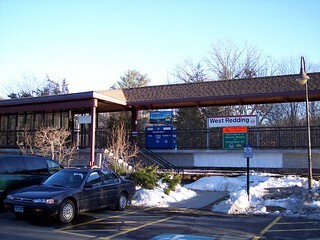 The West Redding station is a single high level platform. 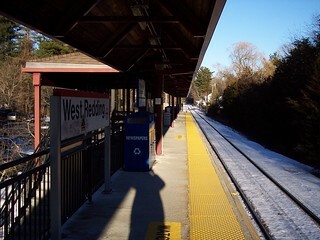 All signage at the station says West Redding but timetables refer to the station as Redding. 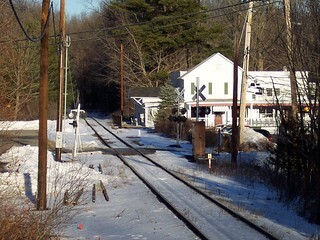 The old station is just a bit up the road, and is visible from the current platform.